"In my years of practice as a physician, I have, by the use of Astrology, been able to very quickly locate the seat of the disease, the cause of the trouble, the time when the patient began to feel uncomfortable, as based on the birth data of the patient, and this without even touching or examining the patient, and my intense desire to get this knowledge and wisdom before students and Healers in a classified form, is the reason for this Encyclopaedia. . . . When once you have discovered the cause of the disease, and understand its philosophy and the relation of the patient to the great Scheme of Nature, the matter of treatment I leave to you, and according to the System and Methods you may be using." (pg. 502)This is not only the best book ever written on medical astrology, it is also the best medieval medical reference ever put in print. This book excels in diagnosis, in other words, if the symptom is X, then the astrological cause is Y. Which becomes the key to reading the patient's chart, or his decumbiture. Cornell writes in traditional language. The same language, in fact, as you will find in Culpeper, Saunders, Lilly, Blagrave and many others. This book is the key that will open these and many more.Howard Leslie Cornell, M.D., (1872-1938) was a naturopathic physician with apractice in the US and India. In 1918 he set about to compile the medical references in his many astrology books. As he himself wrote, it became a momentous task, eventually comprising two large ledgers. These were then arranged, classified, disentangled and wrote into readable form. Only at that point did he consider making a proper book of it, and set about retyping and rearranging yet again. The result of 15 years work was published in 1933. It has been in print, off and on, ever since. 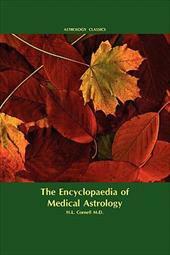 It remains the one indispensable medical astrology book.The Encyclopaedia of Medical Astrology repays close study. A page-by-page reading is most rewarding. This book represents an authentic reproduction of the text as printed by the original publisher. While we have attempted to accurately maintain the integrity of the original work, there are sometimes problems with the original work or the micro-film from which the books were digitized. This can result in errors in reproduction. Possible imperfections include missing and blurred pages, poor pictures, markings and other reproduction issues beyond our control. Because this work is culturally important, we have made it available as part of our commitment to protecting, preserving and promoting the world's literature. ++++The below data was compiled from various identification fields in the bibliographic record of this title. 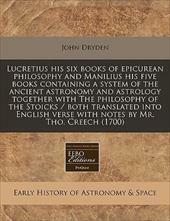 This data is provided as an additional tool in helping to insure edition identification: ++++"Lucretius his six books of epicurean philosophy and Manilius his five books containing a system of the ancient astronomy and astrology together with The philosophy of the Stoicks / both translated into English verse with notes by Mr. Tho. Creech"Five books of M. Manilius.Lucretius Carus, Titus.Manilius, Marcus.Creech, Thomas, 1659-1700.Pages stained, with some loss of print.Creech's translation of Lucretius has special t.p. with statement "Fifth edition. "669 p. in various pagings: London: Printed and sold by the booksellers of London and Westminster, 1700.Wing / L3450EnglishReproduction of the original in the Cambridge University Library++++This book represents an authentic reproduction of the text as printed by the original publisher. While we have attempted to accurately maintain the integrity of the original work, there are sometimes problems with the original work or the micro-film from which the books were digitized. This can result in errors in reproduction. Possible imperfections include missing and blurred pages, poor pictures, markings and other reproduction issues beyond our control. Because this work is culturally important, we have made it available as part of our commitment to protecting, preserving and promoting the world's literature. For millennia, astrology has been used for much more than personality typing and event prediction. Its deeper applications reveal the nature of Soul and creation itself. When applied to this deeper layer of human consciousness, astrology reveals itself to be a powerful tool for tracking the Soul pattern, and its past and current evolutionary drives. 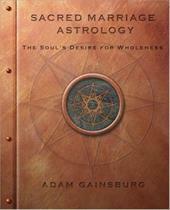 In The Soul's Desire for Wholeness, astro-alchemist Adam Gainsburg explains the foundational background, fundamental components, and astrological methods of Sacred Marriage Astrology, an entire orientation to the vastness of the astrological mysteries designed to precisely illuminate and powerfully catalyze our authentic hieros gamos ("holy union") within the body and mind. With clear visual graphics illuminating many of its principles, The Soul's Desire for Wholeness provides the tools needed to track the Soul intelligence within our Identity context, thereby re-vivifying the ancient and timeless sacred marriage within. Includes comprehensive explanations of the astrological signs, planets, houses, lunar nodes, angles, aspects, elements, modes, retrogradation, hemispheres, and quadrants, as well as the Soul's Desire, the Identity's Vehicle, and special essays on intimacy, manifestation, polarity, Chiron, Pluto, the Moon and more. Early Christianity and Ancient Astrology explores a variety of responses to astrology, the most popular form of divination among early Christians in Greco-Roman antiquity. 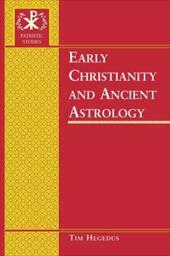 After a brief overview of ancient astrological theory and a survey of polemical responses to it, this book documents instances in which early Christian writers and communities incorporated astrology positively into their beliefs and practices. This study is of interest to students of early Christianity and of Greco-Roman religion and to those concerned with interfaith relations or with issues of Christian unity and diversity. It is particularly recommended for use in courses on the history of Christianity and on the religions of Greco-Roman antiquity. In recent years scholars have begun to acknowledge that the occult sciences were not marginal enterprises but an integral part of the worldview of many of our ancestors. Astrology was one of the many intellectual tools--along with what we consider to be the superior tools of social and political analysis--that Renaissance thinkers used to attack practical and intellectual problems. It was a coherent body of practices, strongly supported by social institutions. And alchemy was not viewed primarily as a spiritual pursuit, an idea popularized by nineteenth-century occultists, but as a part of natural philosophy. It was often compared to medicine. Many Renaissance writers suggested links between astrology and alchemy that went beyond the use of astrological charts to determine the best time to attempt alchemical operations. "Secrets of Nature" shows the many ways in which astrology (a form of divination) and alchemy (an artisanal pursuit concerned with the technologies of minerals and metals) diverge as well as intersect. Overall, it shows how an appreciation of the role of the occult opens up new ways of understanding the past. 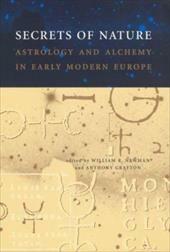 Topics include the career of Renaissance astrologer Girolamo Cardano and his work on medical astrology, the astrological thinking of Johannes Kepler and Galileo Galilei, the history of the Rosicrucians and the influence of John Dee, the work of medical alchemist Simon Forman, and an extended critique of the existing historiography of alchemy. Mainstream science has long dismissed astrology as primitive superstition. Yet, from daily horoscopes to personalized star forecasts, astrology still plays a crucial role in organizing many people's everyday lives. There has, however, been no convincing explanation of its appeal. "Astrology, Science and Culture" finally fills this gap. 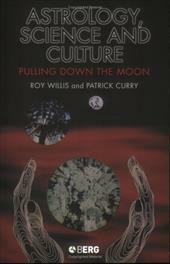 Willis and Curry tackle astrology's rich history, its problematic relationship to psychology, and its attempts to prove its own validity. They argue that astrology has its roots in the Neolithic culture of Europe and the Middle East but, far from being a relic of years gone by, it still challenges its opponents' unquestioning belief in conventional modern science. Groundbreaking in its reconciliation of astrology's ancient traditions and its modern-day usage, this book impressively unites philosophy, science, anthropology, and history. It is the first exploration of the intimate connection of humankind and the stars from the dawn of pre-history to the present day. 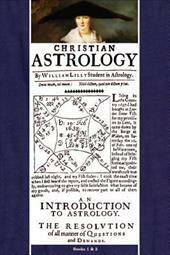 Named "Christian" to avoid hassles (some things never change), this is the most famous, the most celebrated astrology book in the English language. It has been prized by students ever since its first publication in 1647. 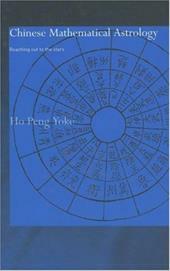 The Horary Astrology in these pages, in the hands of a master, is no mere parlour game. It is demanding and precise, combining science and art. Properly used, it will give answer to any well-defined question. William Lilly, famous throughout England for his almanacs & forecasts (he predicted London's Great Fire of 1666), lived during the English Civil War & was a minor historical figure in it. Into his studio came the rich and poor, nobles and commoners, with problems great and small. This new edition restores Lilly's original page layouts, with marginalia. Modern spelling throughout, this edition includes Lilly's bibliography, his original index & a new glossary. Also includes his original woodblock charts, and their modern versions. This is Lilly's great work as he himself knew it. 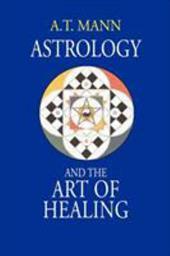 In this volume: Book 1, An Introduction to Astrology, containing the use of an ephemeris; the erecting of a scheme of heaven; nature of the twelve signs of the Zodiac, of the planets; with a most easy introduction to the whole art of astrology. Book 2, The Resolution of All Manner of Questions, by a most methodical way, instructs the student how to judge or resolve all manner of questions contingent unto man, viz, of health, sickness, riches, marriage, preferment, journeys, etc. Some 35 questions inserted and judged. 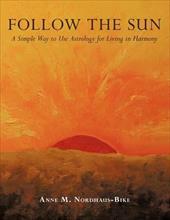 Follow the Sun: A Simple Way to Use Astrology for Living in Harmony offers a timeless, annual guide to using astrology for living in harmony with yourself, others, and nature. Follow the Sun reviews each astrological sign, shares ideas for making the most of that sign's energies and opportunities, and shows how a public figure born under that Sun sign expressed its energies. This full color art book is enhanced with numerous images, including reproductions of all 12 original watercolors the author created to symbolize the signs of the zodiac. Every chapter of Follow the Sun also offers suggestions for balancing your life. Besides giving you simple yet powerful tools to work more effectively with the energy of a particular Sun sign, these suggestions will help you align yourself with the seasons and nature's cycles. Over time, you will feel your life take on a more cyclical rhythm that will support your health and happiness on all levels. 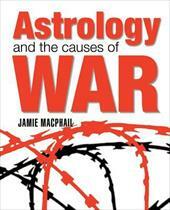 Would war be avoidable is world leaders could be persuaded to use astrology? This book analyses the political and astrological causes underlying many of the major wars since 1950 and concludes that it is now time for politicians to consider the advice of astrologers in order to develop greater objectivity. A brave book with piercing insights. 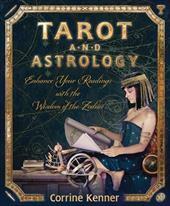 Enrich and expand your tarot practice with age-old wisdom from the stars. Entwined for six centuries, the link between tarot and astrology is undeniably significant. This unique and user-friendly guide makes it easy to explore and learn from this fascinating intersection--and you don't even need to know astrology to get started. Discover how each major arcana corresponds to an astrological sign or planet, where each minor arcana sits on the Zodiac wheel, how the court cards and tarot suits are connected to the four elements--and what all this means. Also included are astrological spreads and reading techniques to help you apply these new cosmic insights.